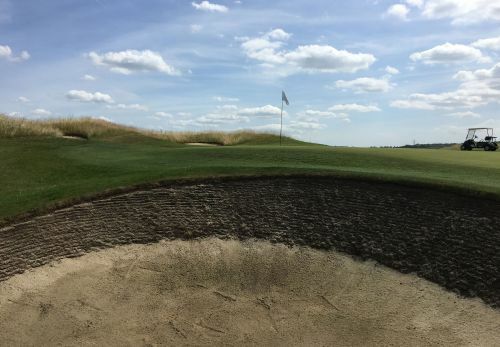 The 3,450-yard East nine holes is the second course nearing completion at Ingrebourne Links, with an estimated opening date of late summer of 2019. Laid out in 95 acres the Par 35 course enjoys an uncluttered ‘feel’ with each hole having lots of space. When you play each hole it will give the impression of being the only hole on the course, similar to that same feel on the North course. There is a more pronounced elevation change as the opening holes move out eastward to the highpoint of the property offering some incredible views over Canary Wharf and out towards the QE2 Bridge crossing. 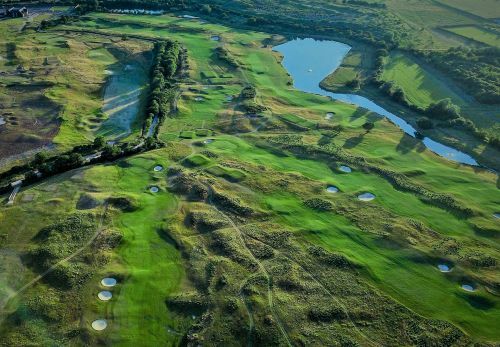 The majority of the greens are large with the influence coming from the true links courses around the world. 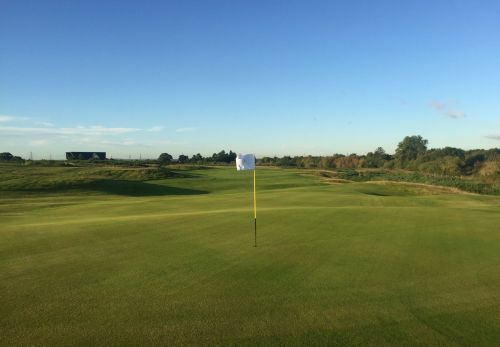 These generous putting surfaces allow for interesting contours and a number of pin positions. The bunkering is selective and not dominating so well placed shots from both the tee and the approach will be rewarded. We have added some additional teeing grounds so that the golfer can choose the extent of their golfing ‘examination’! The finishing stretch, known as the ‘formidable four’ will be a very challenging mile of golf. Starting with the 6th hole, a 629 yard Par 5, playing downhill followed by a strong Par 4 back up the incline. The short Par 3, 8th will be a welcome respite because the 9th hole is another testing Par 5 that will demand three well executed golf shots to reach the putting green to finish off the nine. I’m really excited about the East 9 and already have a sense that it may be a very special nine to play. It will definitely compliment both the North and South 9’s and I hope will become a favorite nine to play. Hole PAR White Yellow S.I. Red PAR S.I.